Today, adidas has revealed the Official Match Ball for the 2018 FIFA World Cup in Russia. 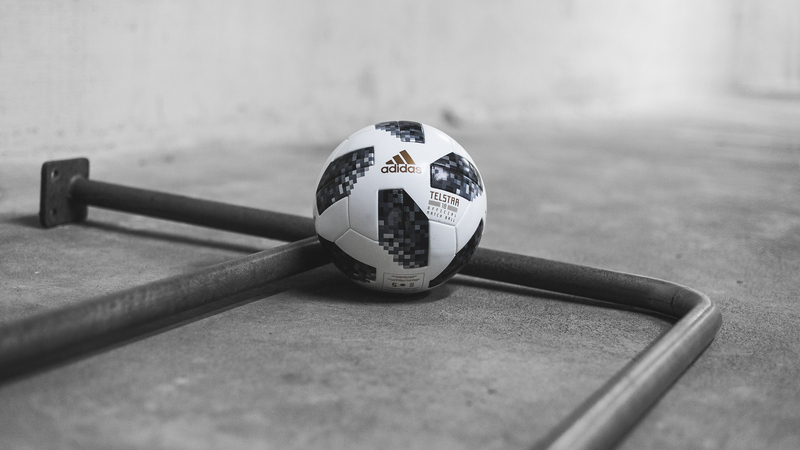 A remake of the first adidas FIFA World Cup match ball, it's called the 'Telstar 18', and it will be used by the world's best players as they seek to claim the biggest prize in football next summer. Since the 1970 FIFA World Cup in Mexico, adidas has made the official match balls for the biggest football tournament in the world. The German brand decided to call the first ball 'Telstar'. The name of the original came from its position as the 'star of television'. The Telstar was the first ball to be decorated with black panels, and the pattern was designed to stand out on black and white televisions, and changed football design forever. From then on followed 'Telstar Durlast' in West Germany 1974, 'Tango Durlast' in Argentina 1978, 'Tango Espana' in Spain 1982, 'Azteca' in Mexico 1986, 'Etrusco' in Italy 1990, 'Questra' in USA 1994, 'Tricolore' in France 1998, 'Fevernova' in Korea and Japan 2002, 'Teamgeist' in Germany 2006, 'Jabulani' in South Africa 2010, and 'Brazuca' in Brazil 2014. 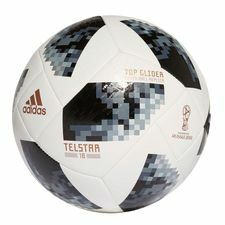 In 2018, the Telstar returns as the 'Telstar 18' - the Official Match for the 2018 FIFA World Cup in Russia. 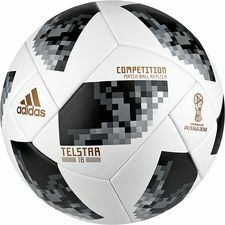 The Telstar 18 has a brand new carcass that retains the best of the Brazuca, while building in new technology to maximise performance. We've before experienced some World Cup balls giving the goalkeepers out there a lot of trouble, especially the Jabulani. But the Telstar 18 went through extensive testing to ensure it suits the needs of the best players in the world. Some of the leading national and club sides have even been involved in the testing process including; Argentina, Colombia, Mexico, Manchester United, Juventus, Real Madrid and Ajax. It's easy to see that the Telstar 18 takes a lot of inspiration from the Official Match Balls of the past. 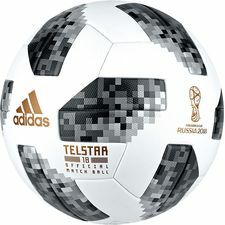 But the ball does feature something completely different with its brand new panel design, including a metallic print execution and texture graphic effect that gets you thinking about televisions back in the day and pixelation as well. In addition, sustainability has been a key focus of the Telstar 18, with elements including re-cycled packaging. The Telstar 18 features an embedded NFC chip – the first time it's ever been used in an Official Match Ball – making it the most innovative World Cup ball to date. The chip enables consumers to interact with the ball using a smartphone. Upon interaction, each ball generates a unique identifier, unlocking exclusive content and information for the user. The personalised and location-aware experience displays specific details of each ball and provides access to challenges which users can enter in the run-up to the World Cup. This is definitely a cool addition, and it's gonna be exciting to experience what adidas has in store for us during the WC! 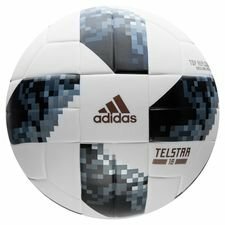 Get the Telstar 18, the Official Match for the 2018 FIFA World Cup in Russia, right here.